Solidaridad South America is seeking an external consultant to evaluate the Sustainable Trade Platform programme. The evaluation will be conducted with the support of Solidaridad staff and contributions made from STP members and the Embassy of the Netherlands in Bogotá. The Sustainable Trade Platform (STP) is an initiative that promotes partnerships between private companies, the Colombian government and civil society organizations to ensure that the supply of agricultural products in Colombia meets the growing global demand. It also aims to position Colombia as an established origin for sustainable products. Solidaridad and the Embassy of the Netherlands in Colombia launched the STP in 2012 to reduce industry fragmentation and provide coherent responses to non-competitive issues affecting the performance of four Colombian agricultural sectors (coffee, palm oil, bananas and flowers). These commodities are both of significant importance for the Colombian economy and of high potential for sustainable trade. Background reading of relevant STP documentation including studies commissioned, annual reports presented to the STP Steering Committee and the Embassy of the Netherlands, external case studies, amongst others. All relevant documentation related to the initiative will be made available to the consultant. Assessing the impact of the initiative at field level (visits to at least three project sites implemented through the STP). Assessing the impact of the project at sector and market level (interviews with STP members and international market players). Assessing the impact on ultimate beneficiaries (producers and workers). Delivering draft evaluation report, final evaluation report and presenting findings. The consultant/consultancy firm will prepare a written evaluation report in English of no more than 20 pages. This report should include an executive summary and the key findings, conclusions and learnings from the evaluation. For a full description of the programme in question and the scope of the evaluation, please download the complete Terms of Reference (PDF). To apply for this opportunity, the consultant / consultancy firm should email (andreao@solidaridadnetwork.org / martha.arevalo@minbuza.nl) his/her CV, an example of an evaluation previously written in English and an indication of daily consultancy fee including VAT. Consultancy firms should also send CVs of specific individuals identified to deliver the assignment and examples of evaluation reports specifically written by these individuals. Selection of applicants will be done jointly by the Embassy of the Netherlands and Solidaridad. The consultancy will be managed by the Head of the Technical Secretariat, Andrea Olivar. Deadline for applications is Wednesday, 31 August 2016. 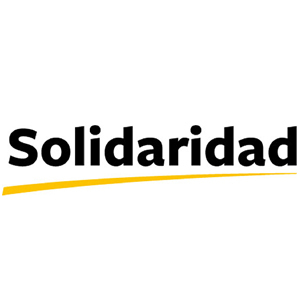 Solidaridad Network is an international civil society organization present in 55 countries that focuses on sustainable supply chains and poverty alleviation through inclusive economies. We focus on the development of value chains of global importance where changes have a significant impact: coffee, tea, cocoa, fruits & vegetables, textiles, cotton, soy, palm oil, sugarcane, gold and livestock.